John Caudwell and Veronica Hughes met Professor Chris Whitty and scientific colleagues at the Department of Health on 23rd May 2016. The purpose of the meeting was to discuss the independent enquiry into Lyme disease which Health Secretary Jeremy Hunt, and C.E.O. of NHS England Simon Stevens, have asked Professor Whitty to commission following their meeting with John and Veronica. During the meeting, Professor Whitty explained the approach he will take in constructing the enquiry, which will take the form of 3 independent Systematic Reviews. This is a methodology aiming to minimise bias. Veronica sent a list of questions prior to the meeting, and he also addressed these issues. The reviews will look in particular at: the evidence on the epidemiology of Lyme disease in the UK; at symptoms recognition and diagnostic testing; and at treatment. Professor Whitty stated that the epidemiology component is probably a little less important in terms of controversies than the other two categories, which directly affect patients. Professor Whitty said that the academics conducting the Systematic Reviews will be composed of experts who may come from various countries. Lyme disease is a controversial illness with strongly held views on several subjects. Caudwell Lyme Disease charity is very keen to ensure that the review will be an unbiased look at the evidence, not an exchange of opinions. Professor Whitty summed up the situation very well by observing that the less factual evidence is available on a given topic, the more emotionally people tend to argue over it. He iterated the fact that there are entrenched opinions on both sides, and we need to keep those out of the review teams whose purpose is to conduct an unbiased review of all the evidence. Systematic reviewers will be selected primarily for their expertise in undertaking unbiased literature reviews, but with a view to excluding those who already hold strong opinions on Lyme disease, the objective being to find fresh eyes to look at the evidence without preformed views or bias. The reviews will take about eighteen months, but longer if more time is needed, it will depend on how many papers need detailed review. Professor Whitty confirmed that the conclusions of this research will be able to feed into the NICE guidelines process (which is currently initiating), although at what stage will depend how long they take. John raised the point that the majority of patients with Lyme disease also have other tick-borne infections, and often opportunistic infections as well, and that the review should cover all of these in order to produce useful results for patients with this collection of infections. Professor Whitty explained that there are thousands of published research papers on Lyme disease, which will take around eighteen months to review, and that there are many other known pathogens carried by ticks, which can cause illness in humans although most have a specific geographical location: a thorough review of the research on all of them would take a great deal longer and, for that reason, probably not be sensible. Professor Whitty also pointed out that most of the tick-borne infections are less contentious than Lyme disease. He agreed to ask the review teams to produce a list of possible additional or alternative infections, which could form part of the standard work-up and differential diagnosis in patients with Lyme disease symptoms and/or a history of possible tick bite. Whilst this independent review does not have the remit to construct diagnostic pathways, it will convey its findings to NICE, which does have this mandate. John raised the issue of diagnostic tests for Lyme disease. In particular, the tests used by RIPL and the NHS diagnostic labs have a relatively low sensitivity, particularly compared to the tests conducted by some private diagnostic laboratories abroad. Professor Whitty pointed out that this enquiry has limitations defined by the methodology it uses, and that it can only examine published research papers; however, it will include a review of the published research which assessed the performance of the various diagnostic tests. There is however no gold standard diagnostic test. Veronica raised the point that previous reviews of Lyme disease appear to have excluded certain categories of evidence, and sizeable tranches of new published research. She explained that some patients believe the research which relates to antibiotic resistance of the Borrelia bacteria, for example, or to infected patients who do not form antibodies yet are symptomatic for Lyme disease, has been overlooked. Professor Whitty agreed to include a bibliography in the final report, which will list every research paper reviewed beyond the initial screen, and will specify at which stage it was excluded, if deemed low quality or flawed in whichever way. The methodology for evaluation of the published research papers will be GRADE. Prior to the meeting, Veronica emailed Professor Whitty two questions regarding transmission of Lyme disease. She asked ‘Will you include an evaluation of the evidence for congenital transmission of Lyme disease in the enquiry?’ and pointed out that the CDC in America issues a warning leaflet about this for pregnant women, but it is not mentioned by current PHE guidelines, and specifically excluded by the scoping document of the current NICE guidelines committee. She also asked ‘Will you similarly include an assessment of the risk of transmission via blood transfusion?’ Professor Whitty confirmed that the reviews will examine the evidence for both these transmission routes. Veronica also emailed, prior to the meeting, a request that all possible signs and symptoms of Lyme disease, and of their frequency among UK Lyme disease patients, be evaluated. She made the observation that current PHE guidelines state that early symptoms are flu-like, which Caudwell Lyme Disease charity thinks is not always true, and probably not a constructive way to help improve the current low diagnostic rate among general practitioners. Much medical literature focuses on the more extreme and rarer symptoms, which are the exception rather than the norm. She stated that the charity believes patient input could be very constructive here. Professor Whitty confirmed that symptoms will be researched and documented thoroughly, with a view to helping make diagnosis easier for non-expert Lyme doctors, but accepting it is not an easy area. The question of sero-negativity is of great interest to many Lyme disease patients. Veronica asked if the review will thoroughly evaluate all the evidence relating to the causes and incidence of sero-negativity in Lyme disease. She stated that many patients report fluctuations between positive and negative western blot results over periods of years of symptomatic disease, and that, to her knowledge, the reasons for, and implications of, this phenomenon have never been properly evaluated. Professor Whitty confirmed this will also be addressed in so far as published literature will allow; inevitably there will be some important questions which remain unanswered because there is not sufficient evidence on them. Veronica asked if the enquiry could incorporate “chronic” Lyme patient involvement in some way, so that the patient experience of Lyme disease care could be taken into consideration along with written evidence. Professor Whitty agreed that Lyme patients fall into the categories of short-lived acute cases, whose care on the NHS under current guidelines we believe to be generally without as much controversy, and the long term patients with persistent symptoms, who fall through the cracks of the system. 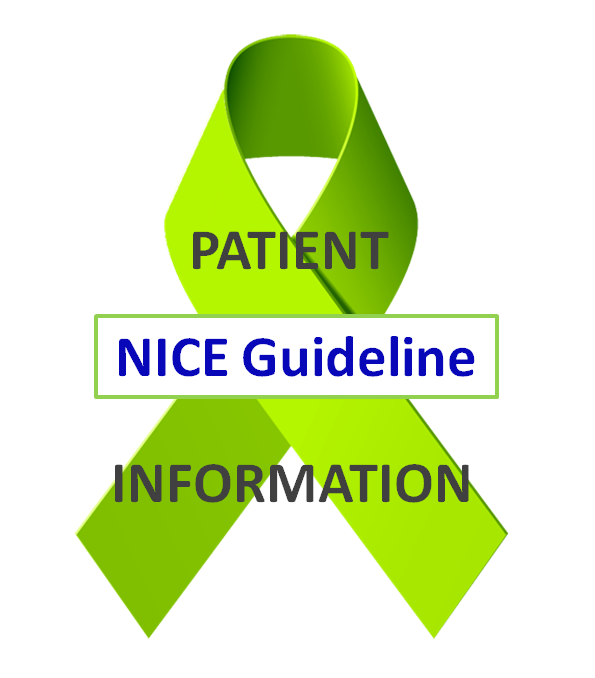 Professor Whitty believes that patient involvement throughout the review could considerably slow down the process, and he is keen for it to be complete in time to feed into the NICE guidelines process. For this reason patient involvement will not take place throughout the procedure. There will, however, be an opportunity for stakeholder review and comments before the project is finalised, which should be in roughly twelve months’ time; this will include a number of the main Lyme groups which have shown an interest in the evidence. There are many areas in which the evidence is scanty, or the quality of published research is poor. The reviews will explicitly specify the areas of uncertainty, in which there is simply not enough evidence to make specific conclusions or give specific advice. This valuable component of the report’s output will, essentially, constitute a full agenda for potential future research projects. Veronica’s email prior to the meeting asked if the research team conducting the review will be asked to use unambiguous and medically conventional terminology for the various situations currently called “chronic Lyme disease” and “post treatment Lyme disease syndrome”. She expressed her view that these woolly terms are used in some published medical research to describe patient cohorts who are a mixed bag of long-term untreated or inadequately treated Lyme disease, refractory Lyme disease, and cured patients with Lyme disease sequelae. She is unaware of any enquiry into Lyme disease that has evaluated published research by trying to assess which of these categories the patient cohorts actually belong to. She believes using specific terms would enable a more constructive and unambiguous discussion on how to identify whether patients actually have refractory Lyme disease or Lyme disease sequelae (given the low sensitivity of the western blot and the issue of periodic sero-negativity among some patients), how much treatment should be defined as “adequate”, why refractory patients cannot be cured, and how their incurable infection should be managed. Professor Whitty agreed that much of the research published on Lyme disease is (in common with other areas of research) of variable and sometimes low quality, and that a due evaluation of patient cohorts should include precise case definitions wherever possible. Caudwell Lyme Disease charity wishes to thank Professor Christopher Whitty and his colleagues for generously giving their time to answer our questions. We feel very optimistic indeed that these reviews will produce objective and rigorous evaluations of the evidence published on Lyme disease, without bias in the selection of the committee, the selection of the evidence for review, or the methods used to evaluate the evidence. We are delighted that Professor Whitty has been so flexible in accommodating our requests regarding the enquiry, and so amenable to discussing its scope and methodology. We very much look forward to reading the results of the review teams’ work. Is the address below the full mailing address for your organization — if someone wanted to drop some documents in the mail? I am accustomed to seeing numbers and postal codes, so was unsure whether this address is complete. Thanks for your tremendous work, and your site is beautiful! Caudwell LymeCo Charity was founded (1.) To promote the health of sufferers of Lyme disease and associated diseases and medical conditions in the UK and beyond (2.) To advance the education of the general public in all areas relating to Lyme disease and associated diseases by raising awareness, providing information and educational materials and disseminating research (3.) To promote, sustain and increase individual and collective knowledge and understanding on the subject of Lyme disease and associated diseases and medical conditions amongst medical professionals, healthcare providers and the scientific community. LymeCo Survey Results: Is the NICE Guideline being followed?